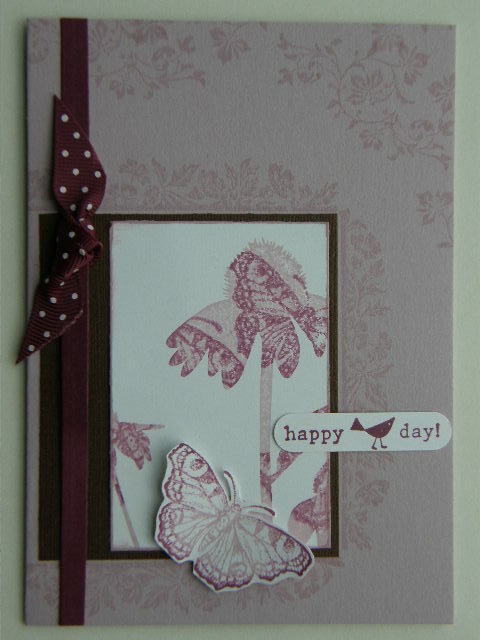 Stampsets: Inspired by Nature, All a flutter, Vintage Vogue, Picture this. Cardstock: Pale plum, rich razzleberry, Chocolate chip (textured). Accessories: Rich Razzleberry ribbon. Word window punch.